A horned serpent and an anthropomorph from the Transformation Panel in the Ochre Alcove. 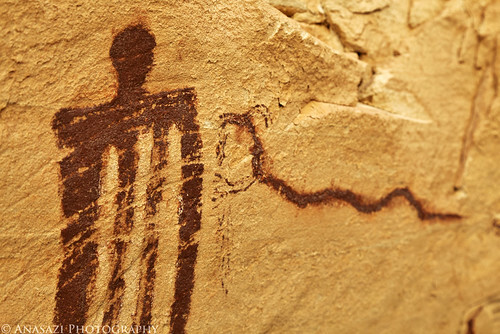 I have a hard time picking my favorite rock art site (there are just so many cool ones! ), but this one would definitely be up near the top of my list!